The ambitious plan would not only result in reservation holders getting the car sooner, but also in more (a lot more) American reservation holders having access to the $7,500 federal tax credit for electric vehicles. As we discussed in the past, under the current program, the federal tax credit for electric vehicles starts to phase out after 200,000 sales per maker from the program’s start in 2009. The phase out period is what is particularly important with this new announcement. It’s difficult to estimate exactly when Tesla will hit the threshold since the automaker rarely breaks down its sales per market, but prior to Tesla’s updated Build Plan, I put together a projection that would have been fairly accurate, and could still be depending on how fast Tesla can actually ramp up its production and how much it prioritize the US market. Based on the new plan, Tesla is now more likely to hit the 200,000 threshold in late 2017 or very early in 2018, but now that’s when the phase out period kicks in. Once it hits the cap, it is more likely to be at a much higher production volume. The US Law states that the phase out period starts during the second calendar quarter after the calendar quarter in which it reached the cap – meaning that customers will still receive the full $7,500 tax credit for at least a full quarter. Based on Tesla’s own estimate, it should be at production rate of about 100,000 cars per quarter at that point. If 50% is allocated to the US market, it would mean that 50,000 people could have access to the full credit if they are eligible based on their tax situation. Tesla could also prioritize deliveries in the US during that quarter to allow even more people to have access to the credit. 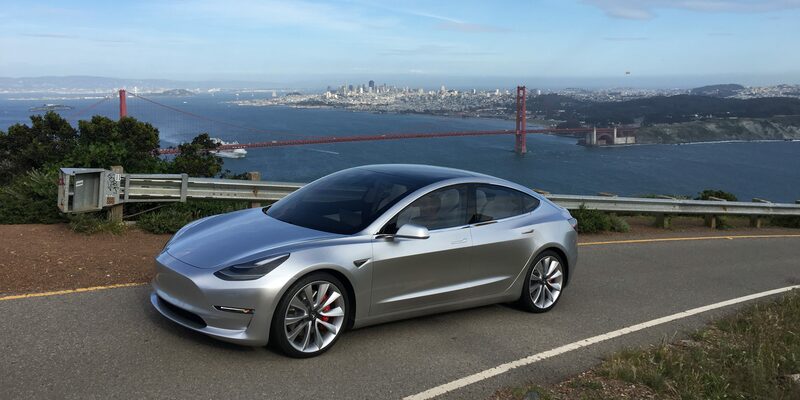 We know that both Tesla and SpaceX employees have been given a chance to reserve the first Model 3’s off of the assembly line, and that the company will give current Tesla owners priority on the reservation list (below employees), but so will West Coast deliveries over East Coast deliveries in order to keep the early deliveries closer to the factory. If Tesla can deliver 100,000 Model 3’s during the last quarter of 2017 and hit the cap during the same quarter, I wouldn’t be surprise if around 150,000 Model 3 reservation holders in the US get access to the full credit. That’s ~$1.1 billion in savings assuming that all buyers will be eligible, which is unlikely. After the quarter is over, the tax credit decreases to $3,750 for the following 6 months with no apparent limit on units. The following 6 months after that, only $1,875 will be awarded to car buyers. That means that for most of 2019 Tesla buyers won’t likely have much federal incentive to buy cars. By 2020, the federal subsidy will have run out, but in 2017 and 2018, it’s very likely that hundreds of thousands of people could benefit from a significant tax credit on the Model 3 ($1,875 to $7,500 per vehicle). Yes, you should order the Model 3 soon if you want it by the end of 2018, but if you are in the US, you should also order it soon if you also want access to the tax credit.